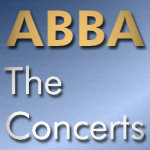 The tour was devided into two parts because Agnetha and Björn didn't want to be away from their daughter Linda for too long. In total there was an audience of 250,000 people (100,000 in Europe and 150,000 in Australia). The tour costumes were re-used on the Japanese TBS TV special in 1978. Beginning in December 1976 preparations and rehearsals were done at Glenstudios (January) and at the Europafilm studios in Stockholm. For the ABBA World exhibition a (silent) video of about 3:10 was made with material filmed by Jack Churchill. It only was shown at the Sydney exhibition 2011 and documents how they worked on the stage design and the choreography. Apparently it was filmed just for documentation or a possible inclusion in ABBA The Movie and perhaps will be on display again at the permanent ABBA museum in Stockholm. Honestly I’m afraid of our world tour in spring when we also will come to Germany. I'm trembling with fear that we cannot fullfill the huge expectations of the fans. Even though we already have rehearsed our shows almost daily since November. But when you had so many hits like we did there always are enough people just waiting for you to fall on your nose. Starts with the piano intro later used for I Wonder (Departure). The girl with golden hair. great happiness until she meets a man, who she thinks is going to give her everything: a career, a home, happiness – everything. And then she sings to him. In the first part of the song Björn throws in some I wanna get on! and Oh yeah, I wanna get on, get on! phrases in his Rock Me style. This version is about 1:45 longer as it would be in concert because of some more repeats of the line get on the carousel! and some more dissonant band parts. Björn ends the recording “Thank you very much. We’ve done a double-LP here today.”, apart from making a joke perhaps also an indication of the original plans for a live album. I Am An A (it probably didn’t exist yet), Intermezzo No.1 and the reprise of Thank You For The Music weren’t included at this stage. So Long appears after Dancing Queen in opposite to the final (Australian) set list. Benny and I had become interested in the musical form at a very early stage in our career and when we were about to go out on this tour, we thought it would be fun to have a sequence of songs that were a bit more theatrical than our other material. song. I remember that someone asked us why we didn’t extend it to a full length musical. Well, I don’t think the story was quite good enough for that! Some video footage of several venues does exist and circulates at Youtube, showing snippets of and around the concerts, mainly recorded by TV stations. According to Lasse Hallström in the interview on ABBA The Movie Limited Edition all Australian concerts were filmed with five cameras each, one steadycam on stage and four cameras on tripods. How much additional material has survived after the movie was finished is not clear. According to a BRAVO report it even was planned to transmit the filming on a video screen. True or a confusion with the filming for The Movie? There is also a live recording from the February 14 Royal Albert Hall venue (in 2014 a snippet was announced for a digital release, but it didn’t happen). It is true that I wanted to see if I could work with some of the Australia 1977 material as well but in terms of recording quality it was unfortunately not up to the standard that we could release.